Physical Characteristics: This formal green space was more indicative of the gardens planted in the 20th century. 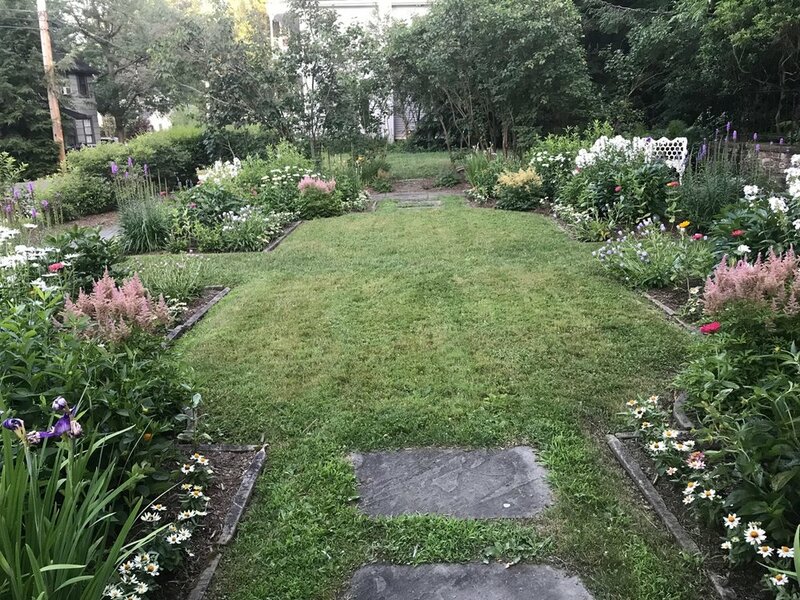 With its traditional hardscape of rectangular shaped flower beds, the plantings were chosen because of their beauty and range of color and fragrance. Enter the garden thru the iron gate and handsome stone pillars. The first level is filled with colorful formal flora such as flox, The garden's upper tier has a traditional stone reflecting pool with fountains and water lillies. The soothing sound of the fountain invites reflection. Historical Context: See Chautauqua Foundation.